Posted 1:09 pm by & filed under House Demolitions, House Rebuilding, International, Israeli Politics, News, Peace Proposals. Wow, a Christmas present from the UN! 14 of the 15 members of the Security Council passed a pretty strong resolution against settlement construction — and against the demolition of Palestinian homes. The US was the odd-man out as usual, but at least it abstained, thus allowing the resolution to pass. The vote has no immediate repercussions. It doesn’t contain sanctions on Israel for ignoring and violating it — which the Israeli government has already says it will. The only genuinely effective way to end settlement construction and all other Israeli attempts to make the Occupation permanent is to enforce the the Geneva Convention, which would dismantle Israeli settlements. But that won’t happen (the US is DEFINITELY against that). So the UN Resolution is symbolic — strongly symbolic, perhaps paving the way for appeals to international courts and certainly affecting public opinion — but it will not end the political reality that the two-state solution is dead and gone (Trump will only bury it officially, which will serve the useful purpose of clearing the air so we can get on with finding a REAL solution). The vote shows how mobilizable the international community is in support of the Palestinians, and in fact how weak Israel’s position is. Yet it also shows how impotent and “symbolic” that support is without an end-game to give it direction and teeth. This is a setback for Israel, to be sure, but governments will not come up with a JUST solution. Human rights, international law, justice — these are values they support in symbolic resolutions like that of the Security Council, but they are certainly not the bases of foreign policy. (Jimmy Carter got laughed out of office and is still a persona non-grata in the Democratic Party because he tried to introduce human rights into American foreign policy). Governments will only manage conflicts, usually to the benefit of the strong side, like Israel. If we, the people, civil society, led by Palestinians and Israeli stakeholders, want a genuine and just solution, we have to decide what it is. People and governments are mobilizable, that is clear from yesterday’s vote. But they will not move to actually end the Occupation and achieve a just peace unless we, Palestinians and their Israeli partners, lead the way. This is our wake-up call. We can win, but we have to be smart, strategic and pro-active. Yala! “Bad Faith and Futile Conflict Management” — that’s the headline I would give to the extraordinary events of the past couple days: the vote in the UN Security Council condemning Israeli settlement; Kerry’s speech on the necessity of saving the two-state solution; and Netanyahu’s reaction to both. The fact that neither Kerry nor the international community can get beyond the defunct two-state solution demonstrates two things. First, the only reason the two-state solution CANNOT be obtained is because of the lack of will of the international community — with the US at the head — to force Israel out of the 22% of historic Palestine which is occupied. The accusation that the Palestinians have not been forthcoming in negotiations over the years is ridiculous. The very fact that they accepted the two-state solution means they have given up political claim to 78% of their homeland. Is refusing to give up more of the piece that remains really being “intransigent”? Still, neither the US nor any other government nor the UN has ever threatened Israel with meaningful sanctions if it remained in the Occupied Palestinian Territory (OPT). Why? The US and Europe imposed severe sanctions on Russia when it took (back) the Crimea. Why is Israel allowed to keep the OPT? Kerry in his speech even opposed BDS, the Boycott, Divestment and Sanctions movement (BDS) of civil society. As long as the will to force Israel out of the OPT is lacking and sanctions ruled out, Israel wins. Not only did Israel eliminate the two-state solution, but we have what Kerry warned us about: one apartheid state. 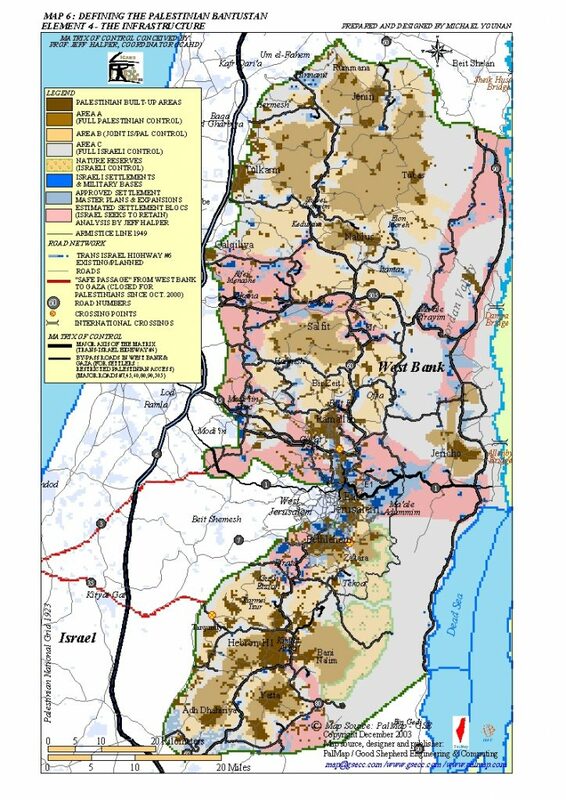 Israel has expanded onto 85% of historic Palestine. The Palestinians, half the population of the country today even without the return of the refugees, are locked into enclaves on only 10% of the land — Kerry’s “Swiss cheese” analogy. They lack all civil, national and human rights. All this represents bad faith on the part of governments. Like Kerry, they all talk about “both sides.” It’s a false symmetry, and they know it. Palestinian resistance is labeled “violence” and “terrorism,” while the terrorism of Israeli settlers towards Palestinians, backed by the official, pro-active state terrorism of the Israeli army and policies of displacement and home demolitions, are framed by Kerry & Co. as “legitimate security” and “Israel’s right to defend itself.” That is bad faith. Trying to present a symmetry between the oppressed and the oppressor, especially when the latter is a state with one of the most powerful militaries in the world (and a nuclear power), is not only disingenuous; it is knowingly dishonest. In fact — and its worth focusing on this, because “pro-Israeli” apologists will raise it ad naseum — the Palestinians recognized the STATE OF ISRAEL 30 years ago. That was the basis of the Oslo peace process. Netanyahu then raised the bar: the Palestinians had to recognize Israel as a JEWISH state. Not only was no other country asked to do that (not Egypt or Jordan), but such a recognition would have prejudiced the civil rights of Palestinian citizens of Israel who are fighting for equal rights in a normal democracy. And what the character of Israel is should be an internal matter, not one Palestinian non-citizens should determine. Whether the US will become officially a White Christian ethnocracy or struggle to retain its multiculturalism is of concern to everyone. But it is a matter for Americans to decide, not others. Demanding that the Palestinian recognize Israel as “Jewish” is simply another trick of Netanyahu’s to blame the Palestinians for the stalemate. The Obama Administration bought it. Interestingly, when Netanyahu first suggested this to Bush and Condoleezza Rice, he was laughed out of their offices. A just peace will not come from Israel (bad faith) or governments (conflict management mixed with bad faith), or from the collaborationist Palestinian Authority. (It is truly sad that rather than lending his voice to the discussion Abbas simply sent a one-liner saying he would resume negotiations if Israel stopped settlement construction. The PA is not even in the game.) A just resolution will only come — my mantra yet again — when Palestinians and their Israeli allies come together pro-actively, in good faith and with a determination to resolve the situation justly. And it WILL take the form of a one-state solution – a bi-national, democratic state – because that is the only option Netanyahu and Kerry have left us with.